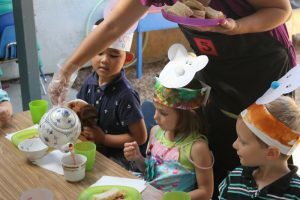 Our preschool community puts on several special events during the year, events that create amazing memories with magical settings that are not found typically in preschools. 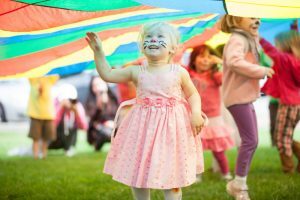 These events bring together families, including siblings and grandparents to celebrate the preschool experience. Halloween Party: The first special event is the Annual Halloween Party. Parents build an unhaunted maze out of huge cardboard boxes. 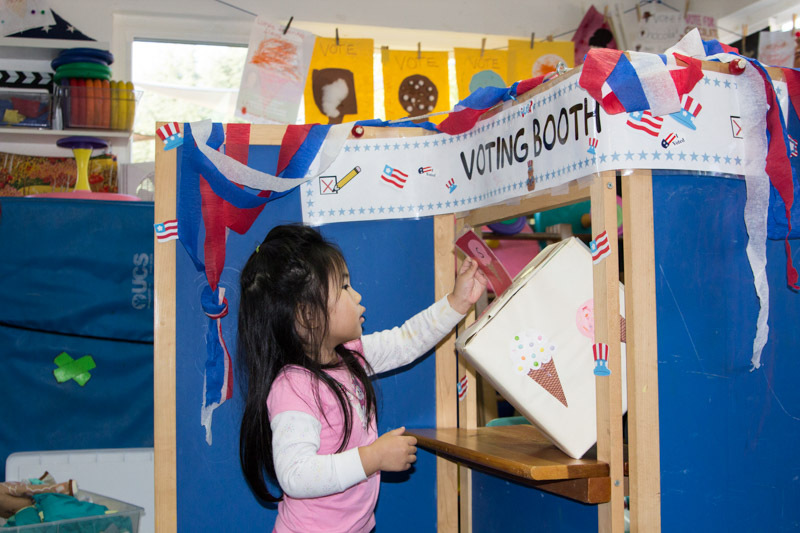 The school is fully decorated with spider webs and pumpkins while children participate in different Halloween themed tactile games and science exploration activities. Costumes are worn by both the children and the parents. 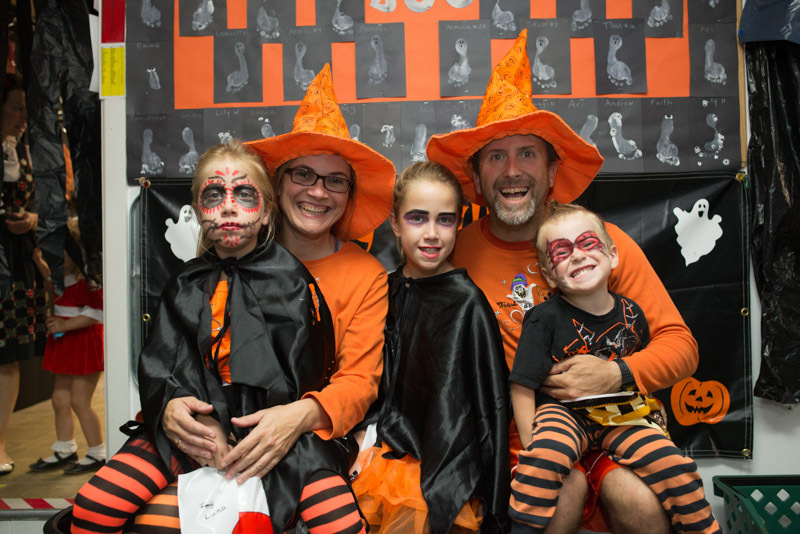 The entire school is transformed into a spooktacular place making this evening fun and memorable for all. 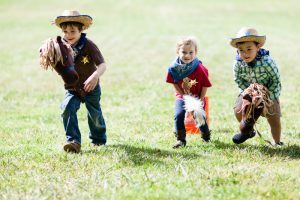 Cowboy Day: Cowboy Day throughout the years have evolved from coinciding with the start of the annual Rowell Ranch Rodeo, to being the first family preschool gathering at the beginning of the school year. 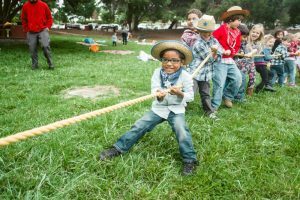 The entire preschool community meets at East Avenue Park in Hayward dressed in our cowboy best. 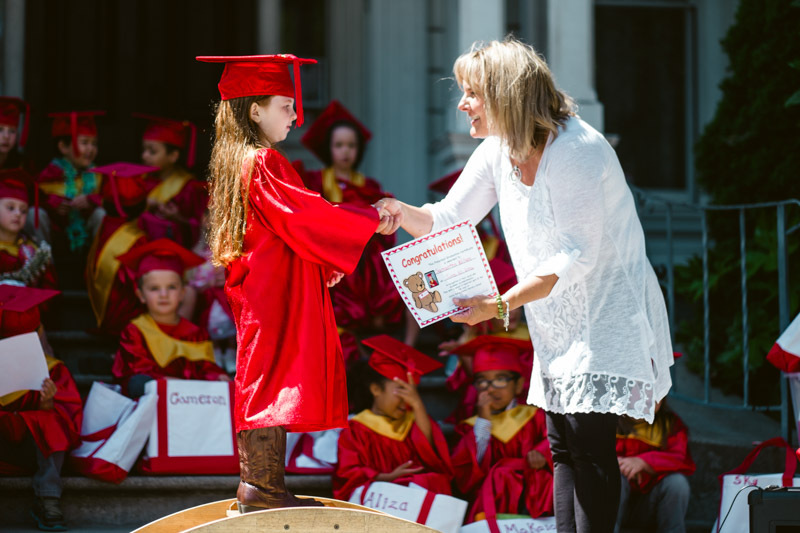 We cook pork and beans, eat out of metal plates with metal forks, go on a rattlesnake hunt, read a cowboy story and learn about the many ways to use a bandanna. 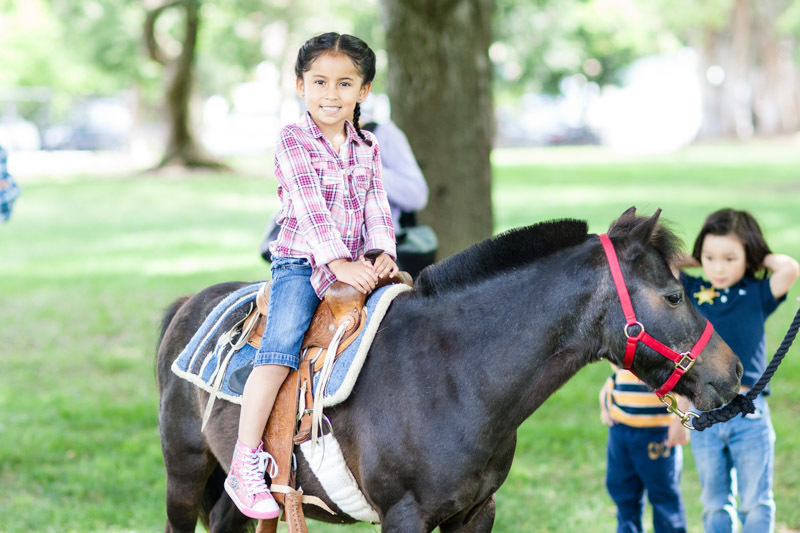 The day includes a petting zoo and pony rides. 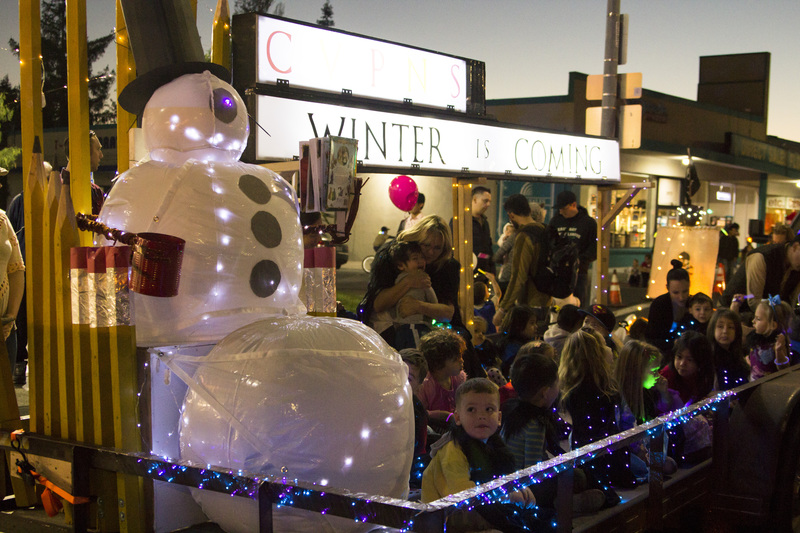 Light Parade : CVPNS participates in the Castro Valley Light Parade. The collective creativity of the parent community in preparing the float’s artwork showcases CVPNS pride and the preschool children. 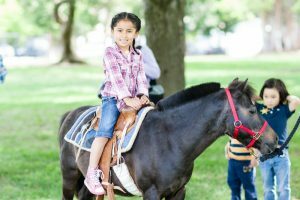 All families are encouraged to ride the preschool float and wave to the community. 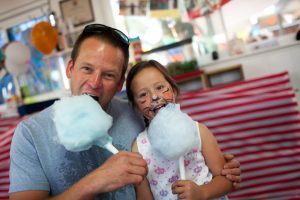 Circus: We end May with the Annual Circus at the school, transforming our facility into a carnival of fun, with cotton candy and popcorn-making machines, clowns making twisty balloon animals, a petting zoo, a huge big top and acts starring the children. 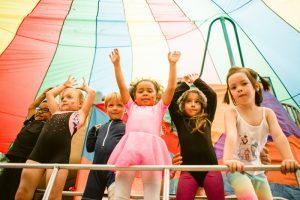 The director leads two weeks of circus practice with the children in the acts in which they choose to participate: strong men, ballerinas, gymnasts, wild animals, animal trainers, snake charmers and more. 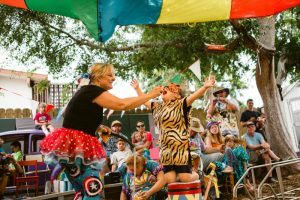 On Circus day, they become confident performers, earning big applause from the loving audience. 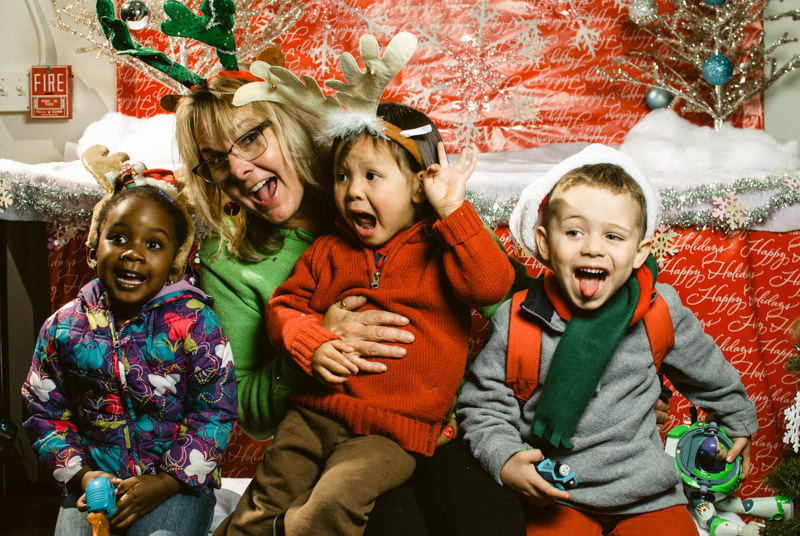 Family Night: Our preschool family nights have included science themed events, family sing alongs & storytime, and a Holiday Boutique. The Holiday Boutique is an interactive event where children shop and wrap for gifts (donated from families) for loved ones, make holiday crafts (reindeer food, holiday placemats for the needy, ornament making) and spread general holiday cheer. In addition to these 3 special events, the preschool puts on an annual Teddy Bear Tea Party, Ice Cream Election, Stone Soup Celebration, Santa Visit, Lunar New Year Celebration, St. Patrick’s Day leprechaun pranks, Spring Picnic Easter Egg Hunt, Cinco De Mayo festivities, Pajama Party, and an end of the year graduation. 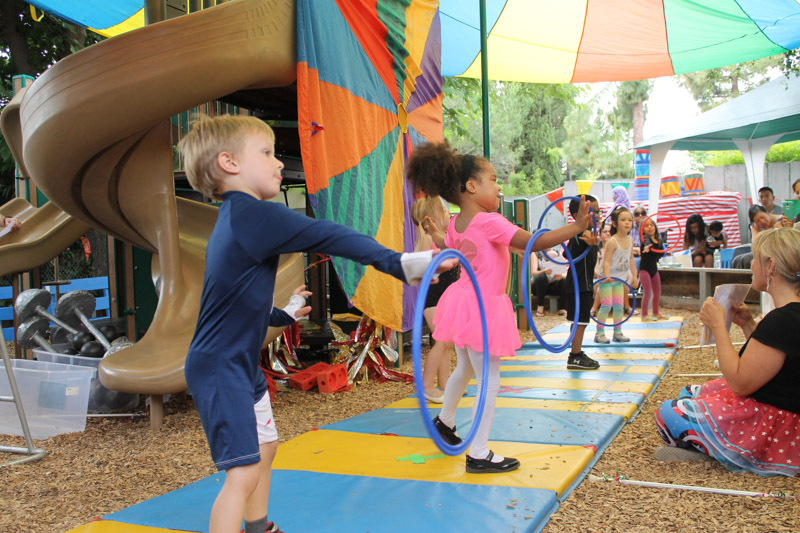 Field trips have included trips to local Bay Area children’s museums, pumpkin patches, and live performances.